I’ve lived in Massachusetts for three Halloweens now, counting tomorrow, but I’ve yet to trek to Salem for their ghoulish festivities. From what I hear, they’re a real hoot—if by hoot, you mean a gross misappropriation of the past. Why worry about Puritans persecuting each other when you can visit a psychic fair? For a more historical Halloween experience, check out Cornell’s Witchcraft Collection. Sure, you know the story of John Proctor—but what about the Salem dogs that were put to death, for afflicting people with their stares? Or read Increase Mather’s account too, whether the original manuscript or transcribed. 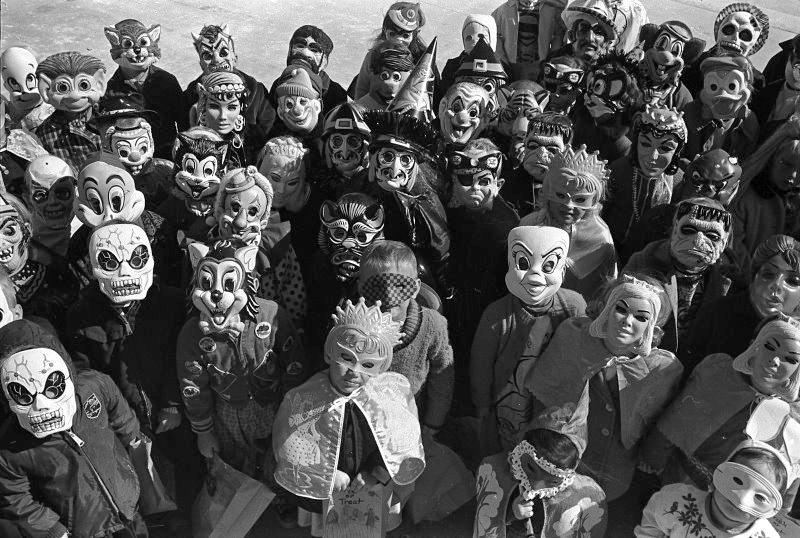 If that’s not spooky enough, take a look at these adorable/terrifying trick-or-treaters in 1965 Greenville, from East Carolina U’s Daily Reflector collection. But the best way to get into the Hollow’s Eve spirit for the die-hard Americanist: watching Disney’s still charming adaptation of Washington Irving’s”Legend of Sleepy Hollow,” with tunes sung by Bing Crosby himself. Tim Burton has nothing on this! Watch one of the highlights, “The Headless Horseman,” here.